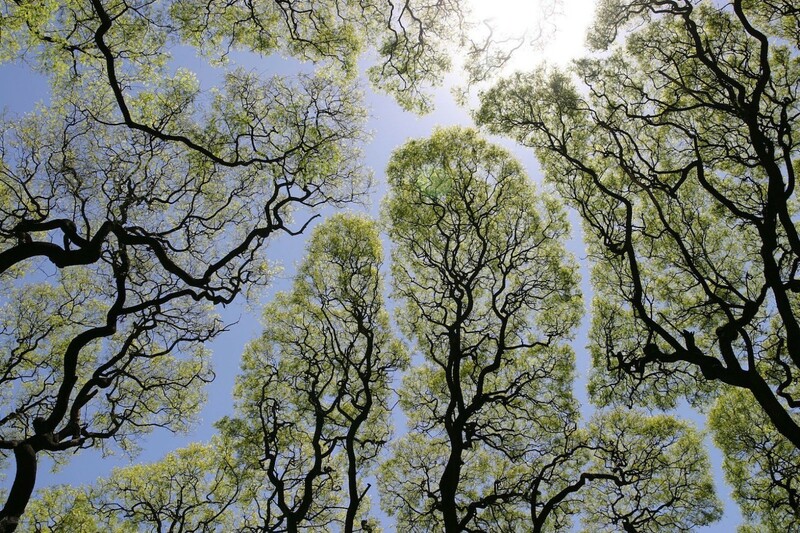 A possibly related phenomenon is called crown shyness – certain species of trees will very politely avoid overshadowing each other in a forest canopy, leaving gaps between each others' branches. Mostly trees of the same species will do this, but different species of tree have been observed doing this too. Again, no one's entirely sure how the trees do this, and some botanists are probably arguing about it somewhere right now.